Dogs are much more than just a man’s best friend; they provide additional assistance in tackling the daily life routines. A great example are the service and therapy dogs who are well-trained to support people with health related challenges in performing tasks for them. However, a therapy dog is not restricted to people who have health challenges, as it also offers emotional support for victims of natural disasters or any other emotional trauma. These dogs can function in retirement homes, schools, hospices, personal residences and nursing homes. Ever watched those videos on YouTube for the highly trained dogs that can retrieve remotes, change channels, put food in the microwave and so much more; well that must have been a service dog. Service dogs are highly trained canines that mainly function within the health niche to provide support for people with health issues such as disabilities. This could also include other issues such as diabetes, mental disorders, hearing and visual impairment. The breed of dogs used to serve these purposes have to be the least aggressive and temperamental in nature. The most commonly used dogs are Labrador retriever, German shepherd and golden retriever. A service dog is an assistance dog specially trained to support people suffering from health challenges such as diabetes, visually impairments or blind individual, hearing impairments or deaf individual, mental disorders, epileptic seizure, and mobility impairment. Work better in assisting humans with normal tasks. 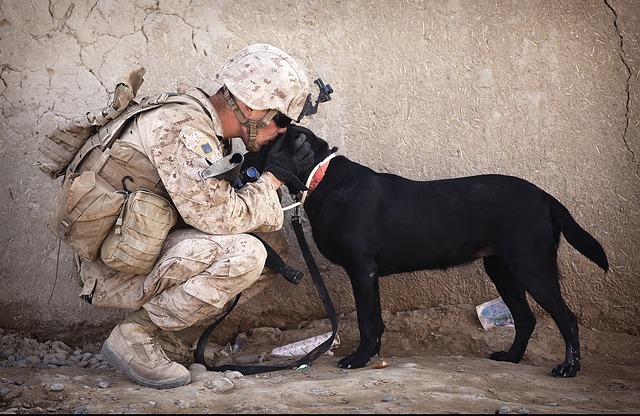 The service dogs enable the patients to complete tasks beyond their limit, which would not be possible in the hands of a handler. The service dog is trained by private professional trainers as well as the physically challenged individual. The rights for people with disabilities to move around with their service dogs perhaps to the restaurants, stores, schools, car parks or airplanes is protected by the America with Disabilities Act (ADA) and Air carrier Access Act, and DOJ/HUD Fair Housing Act and Federal Rehabilitation Act. If the owner is disabled. If the individual has documents that support the health issues as well as the approval to train service dogs. The dog is trained to perform tasks for the individual. Service dogs also have permits to be in schools by the directive of ADA, however, the school is not responsible for the service dog. The owner takes the full responsibility of the misbehavior of their dog. What is a Therapy Dogs? Therapy dogs are dogs trained to offer emotional support to victims of natural disasters, patients in the hospitals, hospices, and nursing houses as well as phobic and autism individuals. They as well offer affection and comfort to people in the retirement homes and schools. 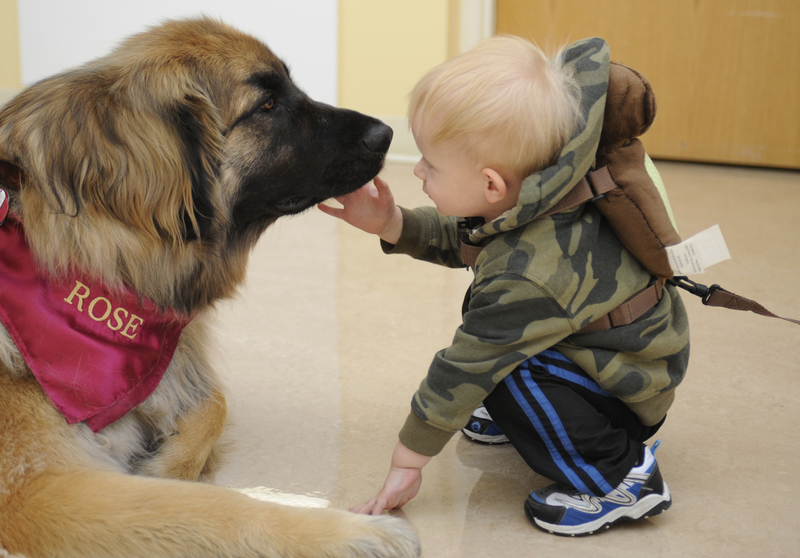 Therapy dogs can also serve as service dogs, based on the needs of the handler. However, they are not allowed to move freely in the public, but are definitely allowed in the organisation and facilities in which they function. Therapy dogs are formalized, as they are not protected by the Federal Housing Act. They are also not trained to offer assistance to specific individuals, and under the regulation of America with Disabilities Act (ADA) they do not deserve to be called service dogs. Therapy dogs are trained by individuals but subjected to different organizations requirements before they are adopted and accepted to treat the different patients. Ability to deal with sudden loud noise or strange noises. Can walk on various unfamiliar surfaces. It does not fret over people with canes or wheelchairs. It does not fret over unusual functioning people. It must be able to relate well with children and elderly people in the community. Therapy dogs are allowed within specific institutions to assist students in easing stress, and anxiety especially during the examination period. They are also used to aid the reading habit of children. Therapy dogs were once used in Florida after a shooting incident in school to aid students in getting back to the normal school routine. The golden retriever is the best dog breed used as a therapy dog, mostly because of their calmness and great attitude towards strangers. A service dog is trained to offer support to people with disabilities, in performing certain tasks, while, a therapy dog is trained to offer emotional support for victims of natural disasters, and varying emotional trauma. Service dogs are protected by the American Disabilities Act (ADA) and the Federal Housing Acts (FHA) or its equivalent. Therapy dogs are not protected by the ADA and FHA. Service dogs are allowed access public places such as hotels, restaurants, stores and other public places, however, the owner has the full responsibility of any misbehavior of the service dog. Therapy dogs are not allowed in public prohibited areas. Service dogs are often used by people with disabilities to perform tasks, while, therapy dogs are used help people cope with emotional distress or recovery. Service dogs only work with one handler. Therapy dogs work with several people or sets of groups at a go. Service dog help individual perform their tasks while therapy dogs offer emotional support to individuals. Service dog is protected by different regulatory bodies but therapy dogs are not. Service dog is used in to perform certain tasks for individuals with disabilities, while, therapy dogs are used to help individuals with emotional distress. Evah Kungu. 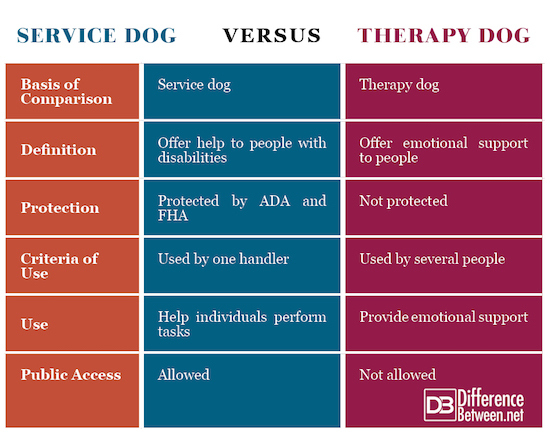 "Difference Between a Service Dog and a Therapy Dog." DifferenceBetween.net. June 7, 2018 < http://www.differencebetween.net/science/nature/difference-between-a-service-dog-and-a-therapy-dog/ >.